Two space rovers have landed safely on an asteroid after Japan’s spacecraft Hayabuza2 dropped them there on September 13, 2018. 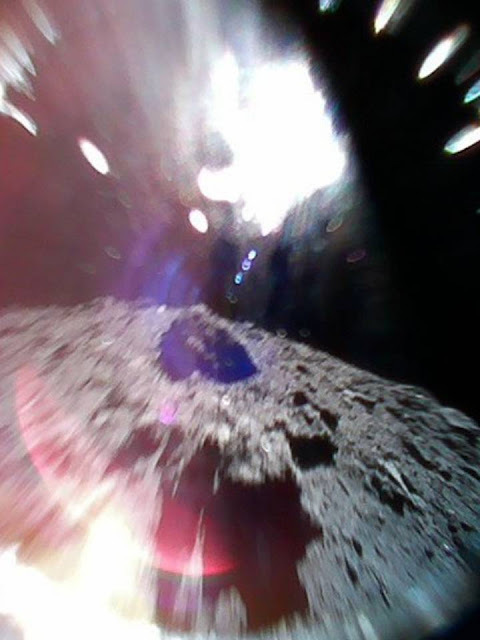 The scientists behind the historic mission expressed their delight as the rovers sent back the first images from the surface of the space rock Ryugu. 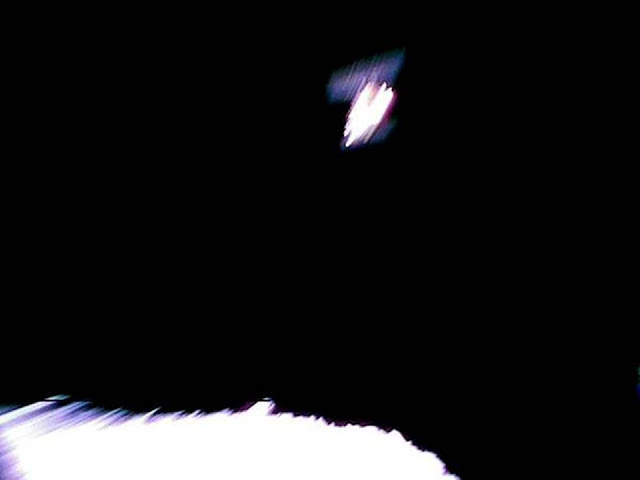 Photo right taken by Rover-1B on Sept 21 at 13:07 JST It was captured just after separation from the spacecraft. Ryugu’s surface is in the lower right. The misty top left region is due to the reflection of sunlight. 1B seems to rotate slowly after separation, minimising image blur. Dubbed MINERVA-II1, the robotic explorers are the first of their kind to be successfully landed on an asteroid. The rovers will use the low gravity conditions on Ryugu to hop across the asteroid’s surface, measuring temperatures and sending images back to Earth via Hayabusa-2. This is a picture from MINERVA-II1. The color photo was captured by Rover-1A on September 21 around 13:08 JST, immediately after separation from the spacecraft. Hayabusa2 is top and Ryugu’s surface is below. The image is blurred because the rover is spinning. Next month the spacecraft will deploy an explosive device to blast a hole in the asteroid, allowing rock samples to be taken from its depths. Following that it will release a French-German landing vehicle known as the Mobile Asteroid Surface Scout (MASCOT) to explore the surface in greater detail.